History of John E. Chapman, M.D. As the longest-serving dean in Vanderbilt University School of Medicine history, John E. Chapman, M.D., and his wife, Judy Jean, fostered a caring and family-like atmosphere that continues to be a hallmark feature of the school. 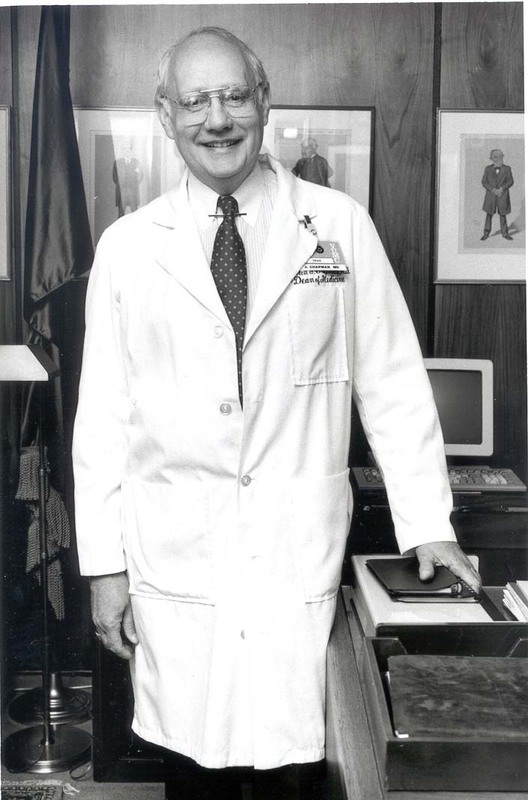 Dean Chapman led the school for a quarter of a century (1975-2001); during that time, he conferred degrees on more than 3,000 Vanderbilt medical students and grew the faculty by 789 members. As a visionary for medical education, Chapman is remembered for both his contributions at Vanderbilt and also his far-reaching national influence.